When my husband and I decided to name our now-toddler Jacob, it was in the middle of the Twilight craze. You have my word that I didn’t choose his name because I’m team Jacob, though I have a feeling that I may field that question for the rest of my life. Really, Jacob is a name my husband has always loved and dreamed of naming his son some day. How could I say no to that? It was an easy choice. Naming the protagonist of The Conjurors Series, Valerie Diaz, on the other hand, was much more difficult. I trolled websites, favorite books, and even newspapers for the right name. I wasn’t choosing a name that I loved, I was choosing a name that encapsulated the person I wanted her to be. I hoped that my final choice reflected her ethnic heritage, courage, and uniqueness. But as I start to think about the next series that I’ll be writing, it got me wondering if there were other ways to find the perfect name for my protagonist. Below are some of the techniques that fellow writers have found helpful, and a couple that I use myself when naming key characters. Consider the regional origin of your protagonist and her key character traits. 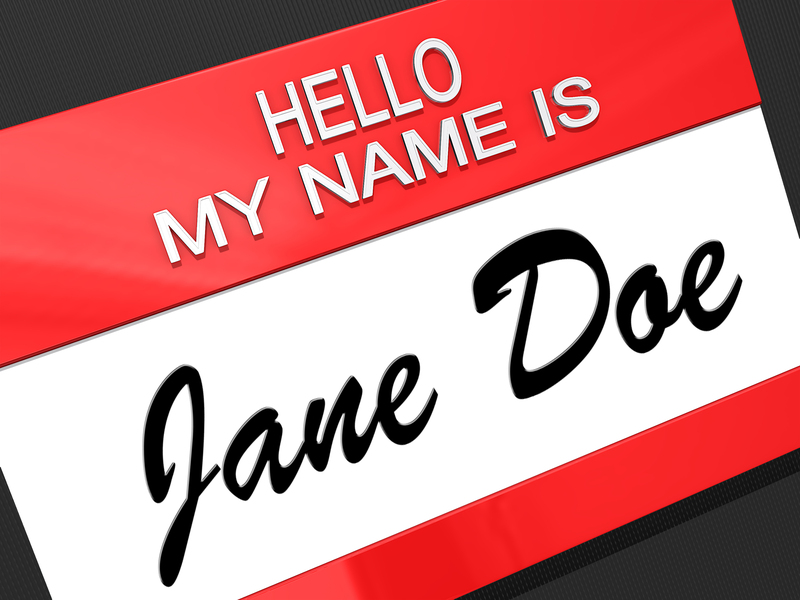 A great place to start your name search is on a baby-naming website like Baby Names. What I love about this site is that you can search by region, if you’re looking to name your character something that would suit a particular part of the world, by popularity, or by meaning. This can also be a great place to finish your search for a character name. If you’ve found the perfect name that completely suits your character, it’s worth checking that the meaning isn’t something like “harbinger of doom”. Borrow a name from history or literature and give it your own spin. Whether it’s heroes from Greek mythology or your American history textbook, famous people’s names immediately come with an innate depth. But rather than simply calling your protagonist “Beowulf”, consider tweaking the name so that it sounds similar, but has its own twist. Choose a name that inspires you personally. Another, sometimes overlooked option is to name your protagonist for a particular hero or heroine in your life. Sometimes a name resonates with you for personal reasons, like the name of a teacher who inspired you. Even though the name may mean nothing to readers, you will unconsciously imbue your heroine with the good and bad qualities of the person they are named after, and can result in a more rounded protagonist. Don’t pick a name that’s super hard to pronounce or remember. As much as I enjoy unusual names, it is possible to go overboard. I’m a huge fan of The Chronicles of Prydain (especially The Black Cauldron) by Lloyd Alexander, but to this day I have no idea how to pronounce some of the names, like Eilonwy or Fflewddur Fflam. If I decide to write a rave review about a book where the characters have difficult names, it’s a huge deterrent if I have to go back and remind myself of how to spell the their names and remember who’s who. Make sure the name makes sense for the setting you’ve chosen for your novel. If you’re writing a medieval fantasy, for example, choose names that were popular at that point of history. It lends authenticity to your story. Also, don’t give all of the sub-characters unusual names if your protagonist has a name outside the norm. It dilutes the impact that you’re going for. How did you name your protagonist? Any advice on other sources of inspiration for naming characters? This entry was posted in Craft of Writing and tagged how to name protagonist, naming characters, naming fictional characters, naming protagonist, protagonist names, writing by conjurors. Bookmark the permalink. Name picking is my favourite thing in writing a book. The research, the impact, how it fits with the character. I have tendency to pick unusual names that are easy however to pronounce and remember. I think writers might have gone overboard with very unusual names when Rowling made up her own tongue-twisters of names for her books. I know I tried to imitate it when I was starting out as a writer at 12. As for the names you couldn’t pronounce (Eilwony and Fflewddur) I think they’re either Irish or Welsh so it’s justifable you can’t pronounce them. I think writers who take the decision to use such names should have a page dedicated to their pronounciation like Paolini did for Eragon. I really like that idea – having the appendix of name pronunciations. Because you’re right – depending on where in the world your reader is from, they may or may not find a name easy to pronounce. I’ve enjoyed your blogs and those you’ve recommended. Thanks for sharing your insights into writing and publishing. My character names tend to come from aspects of their personalities. Sara Jensen, the protagonist in my novel “Dream Chaser,” is a strong, goal-oriented woman of Danish heritage. I chose Sara because it felt clean like Danish design, and Jensen for the master silversmith Georg Jensen. I wrote the first draft of this book under the title “Viking Blonde,” which kept me alert to Sara’s fierce determination to win, which sometimes blinds her to to her otherwise smart and compassionate nature. Do you work under different titles for different drafts? Thanks so much for your reblog! And I like the name you picked, both the background and how it feels for the personality of a strong heroine. I do work under different titles for different drafts. Naming people, places, and even the title of my book is really tough for me, so I tend to go through a lot of iterations.